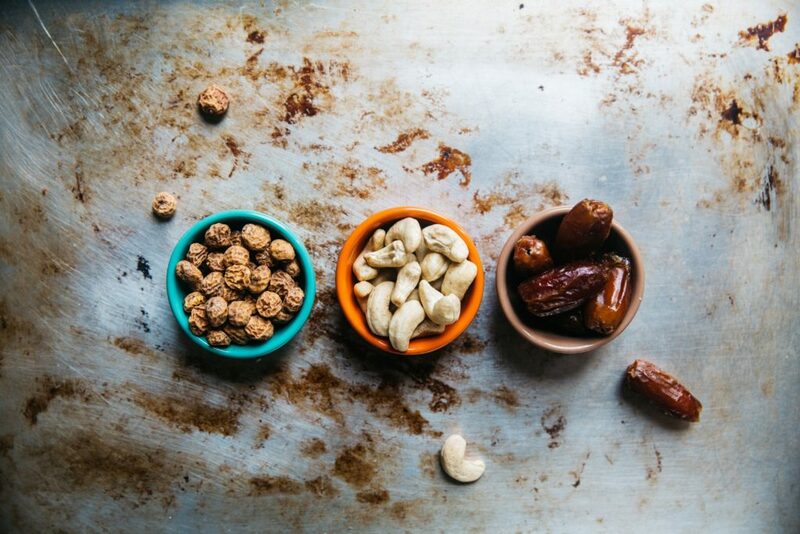 ﻿ Tips for Better Snacking - I AM Co.
Snacking needn’t be boring. A lot of people tend to take their snacks for a ride with them to work and subsequently bring them home again. How many times have you packed a mandarin or plum into your lunchbox and reached 3 pm, only to turn your nose up at it? The poor mandarin goes backwards and forwards to work so many times you end up throwing the mouldy thing away. Don’t be mistaken though – there is nothing wrong with taking fruit as a snack. It is a perfectly sensible option and delicious if fresh. However, like anything in life, it’s good to have options and to change things up a bit so we don’t get bored. And these days there is a huge amount of delicious and nutritious snacks available out there to ensure your lunchbox comes home empty, but your stomach remains full. Perhaps you snack all the time; perhaps you have never snacked. Well, let’s look at the reasons why snacking is a good thing to try and incorporate into your life. Our energy levels are directly connected to what we eat. When we eat carbohydrates (which are the main source of energy for the body), through the digestive process this is broken down to form glucose (sugar) in our bloodstream. There is a ‘healthy range’ for our body to sit within which means our blood sugars remain level. If we eat a complex carbohydrate (such as a bowl of white rice) the glucose in our blood spikes. This then causes our pancreas to release insulin which signals for our body to absorb the glucose to get our blood sugar levels back to normal. Similarly, if we don’t eat for a while, our blood sugar levels drop. This yo-yo motion can have a large effect on our mood and energy levels. Therefore, if we try and eat small (nutritious) meals regularly, our blood sugar levels remain within range and are less likely to spike and dip. Not to mention there are a whole host of medical issues which can arise from your body being outside your normal blood sugar range too often. Small regular snacks between meals can prevent you feeling hungry and therefore aid with better food choices. How many times have you forgone that nearly mouldy mandarin, only to find yourself ravenous by dinner time and piling more on your plate than you normally would? It’s a long time between lunch and dinner for most people, so it makes sense to break up that time period. Having small nutritious snacks on hand can help lessen the temptation for cake, scones, chips or similar. Especially if you are trying to watch your weight. It is very easy to be tempted by something delicious but no-so-healthy if you have nothing on hand to eat as a replacement. So, let’s look at a few of those not-so-healthy but easy to reach snacks which we could replace for something else, whether at home or work. Small bag of potato chips Home-made kale crisps Yes, potato is a vegetable, but that is about as far as a bag of chips goes nutritionally. Kale, on the other hand, truly is a vegetable and a green one at that. You can easily crisp up kale in a dehydrator or air fryer and add a small amount of salt and/or olive oil for a healthy chip alternative. Muesli bar (any brand) Two pieces of dark chocolate and a handful of almonds Usually people like a muesli bar after lunch, for a bit of sweetness. Not all muesli bars are created equal, but a lot have huge amounts of sugar. So, for something a little sweet why not try dark chocolate instead, with some almonds. Dark chocolate is full of anti-oxidants and almonds provide great protein and are loaded with Vitamin E.
Muffin Chia seed pudding Muffins are basically mini cakes. Let’s not kid ourselves! If you feel like something a little naughty, how about a chia seed pudding? Not only will it taste good, but it will keep you full until your next meal. There are plenty of recipes online for this easy to make dish. Flavoured yoghurt Plain or Greek yoghurt with blueberries Again, flavoured yoghurt is high in sugar and will send your blood sugar levels spiking. 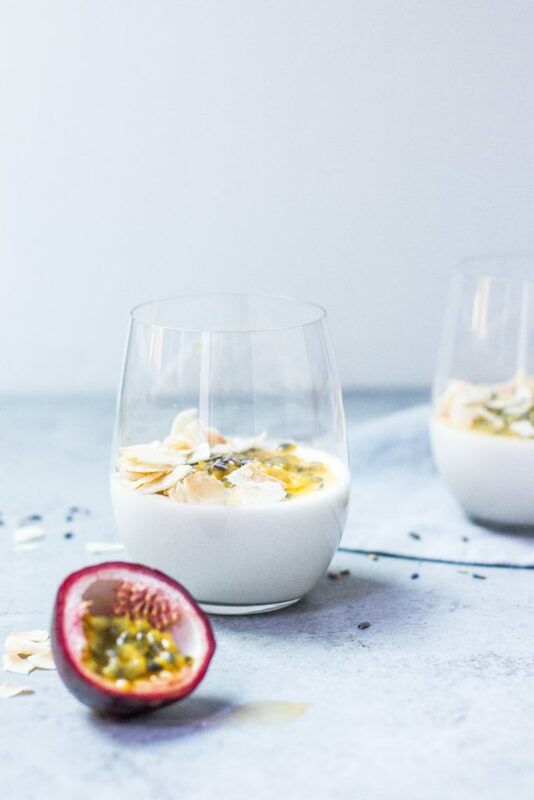 Plain yoghurt is a much heathier option and if combined with a handful of fruit, such as berries, it also gives you that nutritional anti-oxidant hit (whilst still being creamy and delicious). Rice cakes Two plain crackers with cottage cheese and tomatoes Rice crackers might be low in calories, but most are made with white rice, which is a refined carbohydrate (not to mention the amount of salt added to them). Cottage cheese is low in calories and high in nutrients – so a great choice as a topping. Because of its mild taste you can add it with other things too, such as tomatoes. 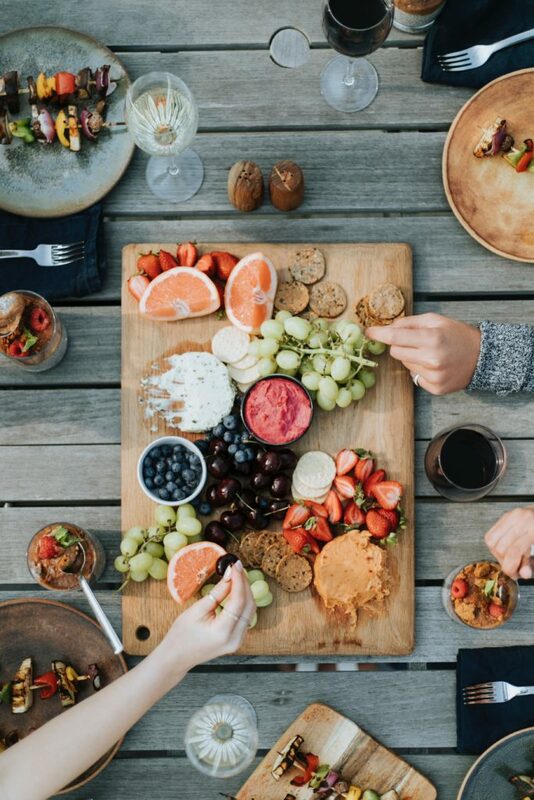 There are many, many other options which you can mix and mingle to create that perfect snack using ingredients such as dates, desiccated coconut, nuts, or fruit and vegetables mixed with dips – think carrot/celery sticks with hummus, or slices of apple with lite cream or cottage cheese. Portion size – a handful of nuts will deliver a nutritional snack, but a plateful won’t. And try not to include a whole lot of dried fruit with that either, because your sugar intake will go through the roof. Snacking times – try not to eat too close to a main meal. This can cause you to lose your hunger and either miss the meal (not good) or delay it and eat it late at night. This does not give your body enough time to digest the food properly before you lay down to sleep, which will result in a feeling of bloated-ness and an inability to get a restful night. Also, try to limit your snack to between 100-200 calories so that it truly is of benefit and not adding to your waistline. Last but not least – it always helps to plan ahead so your efforts don’t come unstuck.